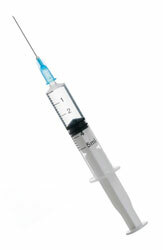 Could your child’s vaccines be compromised? One of the hottest parenting topics just got a little hotter. A new study published in the Journal of the American Medical Association (JAMA) shows that vaccines may not be as effective in children exposed to perfluorinated compounds. Perfluorinated compounds (PFCs) are in everything from microwave popcorn bags and pizza boxes to shampoo and clothing. 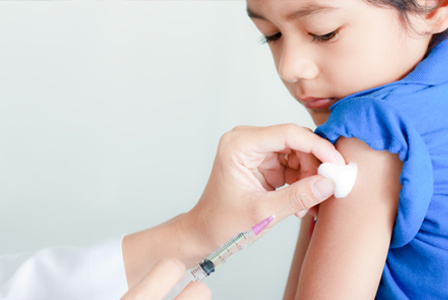 A recent JAMA article argues that kids with higher levels of PFC exposure often experience a compromised immune system, which means vaccine efficacy could be compromised. Is this something that parents should be concerned about or just another vaccine-related controversy? PFCs are man-made chemicals added to products to make them heat, stain, oil and/or water resistant. They are used for a range of industrial products such as fire retardant foam. They are also prevalent in many common household products like carpet, cookware and food packaging. For the JAMA study, researchers monitored PFC levels in 587 kids between 1999 and 2001. When their immune systems were examined at both 5 and 7 years old, researchers noted that PFC exposure is connected to an inability to maintain the antibody levels necessary to support tetanus and diphtheria vaccinations. Whether you support childhood vaccinations or not, this study should at least shed light on the possible dangers associated with environmental toxins. “All people need to be concerned,” says Dr. Valerie Lane Simonsen, a naturopathic physician. “The main issue is not whether one should vaccinate. Rather it is about the fact that PFCs affect the human organism and interfere with the workings of the vaccines.” Perhaps this study will open our eyes to other toxins and chemicals that may impact the health of our kids. Choose your cookware wisely. Do your research and find out what materials are best (and safest) for your family. The use of PFCs makes life easier for both consumers and the companies that produce products that contain these compounds, but knowing the potential dangers of PFC exposure can help parents make wise decisions when shopping.